Sidra Capital, a top Shari’ah-compliant financial services company in the region, has increased its UK presence by investing in a large commercial property leased to two leading British retailers at Great Western Retail Park, Glasgow. 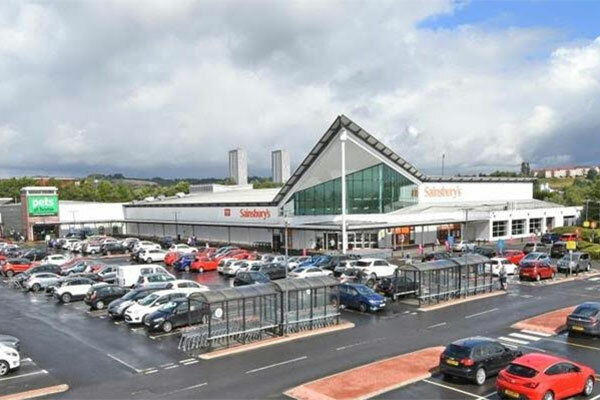 The long-term income-generating acquisition in Scotland, allows Sidra Capital to consolidate its holding on the park by adding retail brands Sainsbury’s and Pets at Home to an existing line up of household name tenants. “Our latest core plus investment gives further balance to our growing U.K. portfolio. We view this as a stable, defensive asset with committed, existing tenants and these factors will provide an attractive high yield,” said Hani Baothman, vice chairman of Sidra Capital. The prime property is currently let on long term leases to the UK’s second biggest supermarket chain Sainsbury’s Supermarkets Limited and the nation’s largest pet food supplier Pets at Home. The property forms part of the wider Great Western Retail Park which is one of the dominant retail and leisure destinations in Glasgow. The purchase consolidates Sidra’s existing holding at Great Western Retail Park which provides 193,628 sq ft of modern retail warehouse space on a 20.2-acre site which is leased to a wide range of leading retail and tenants and F&B operators including McDonald’s, Starbucks, B&Q, Currys PC World, KFC, Carpetright, Wren Kitchens and Mitchells & Butlers. Sidra Capital has been an active player in the UK real estate market since 2011, and has invested more than GBP900 million on 21 separate UK assets. With a dedicated London office, the company created a fully integrated platform and a bridge for Middle Eastern investors to secure UK and European property investments.